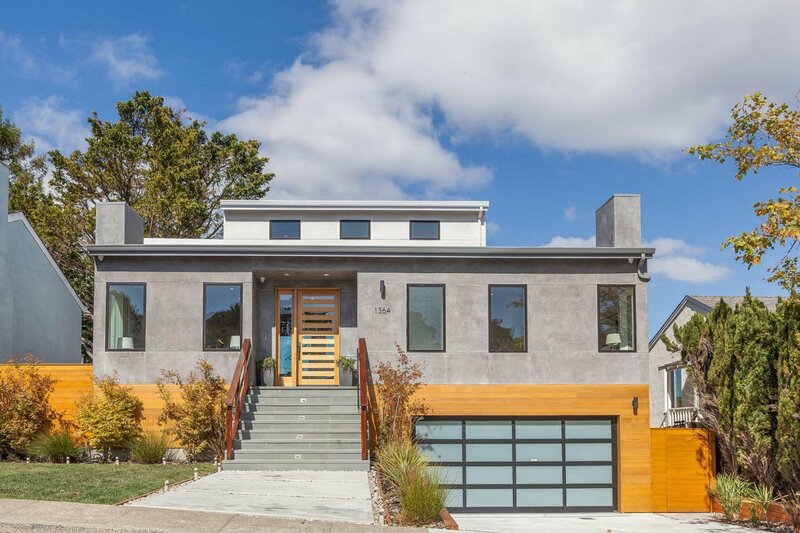 A sleek contemporary new construction retreat with breathtaking SF Bay to Mt Diablo views. This green, efficient four bedroom, four-and-a-half bath home with multiple living areas hypnotizes with sleek wide plank white oak hardwood floors, luxury finishes, and state of the art conveniences. Open living main level balanced by a glass-sided staircase with a gorgeous Heat & Glo linear fireplace & view deck. Chef's kitchen with Thermador stainless appliances, six burner gas range w/ pot filler faucet, breathtaking Calacatta marble waterfall island & white cabinetry. 3 ensuite bedrooms. 2 full-size garage parking pre-wired for electric. State of the art media & security features. The home is central to the Silicon Valley and San Francisco with 1-280 and SFO minutes away.